They say that the early bird gets the worm, and this year politicians are taking that to heart. Candidates started announcing they would run for the 2014 elections even before the 2012 votes were counted, and every day more candidates join the fray. So far this is how the field looks. – Councilmember Diana Souza, who is getting termed out, is rumored to be ready to challenge Mayor Stephen Cassidy for Mayor. This one is hard to believe, but I’ve heard the rumor from the same person who correctly predicted that Hermy Almonte would challenge Jim Prola, another unlikely and predictably unsuccessful race. – Pauline Cutter is likely to run for re-election for City Council District 5. Board of Zoning Adjustments member Lee Thomas will run for the District 3 Souza is vacating while my husband, Mike Katz-Lacabe, has pulled papers to run in District 1 (Michael Gregory terms out). Mike has not yet announced. Tony Guzman, who runs the Ford Leadership in San Leandro and has been getting progressively into politics, is flirting with the idea of moving to San Leandro and running for City Council (he currently lives in Hayward). He definitely should move, but he may be better off joining a commission first to learn a bit about how this city works. Meanwhile, Planning Commissioner Ed Hernandez seems ready to apply to be appointed to the District 2 seat if Ursula Reed vacates it. – Lance James seems likely to run for re-election for the School Board (representing the north area). Ron Carey, who represents the Manor, will not be seeking a second term. Carey was appointed to his seat after nobody run in the 2010 election. Currently, five of the seven school board members were appointed or ran unopposed. – San Leandro Councilmember Ursula Reed is running for County Superintendent of Schools. – Ellen Corbett is challenging incumbent Eric Swallwell for Congressional District 15 (read more about this race). – Ro Khanna is challenging incumbent Mike Honda for Congressional District 17 (read more about this race). – Dublin Mayor Tim Sbranti is running for Assembly District 16 (Joan Buchanan terms out). 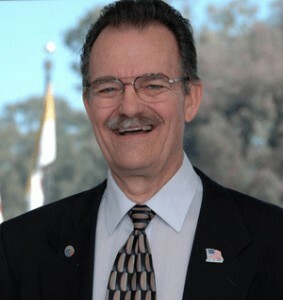 – Fremont Assemblymember Bob Wieckowski is running for Senate District 10. – State Treasurer Bill Lockyer and State Controller John Chiang were looking at exchanging jobs, as each gets termed out of their current ones. Chiang is set to run for Treasurer but, still recovering from the Nadia scandal, Lockyer is being coy as to whether he’s running for Controller (but he’s preparing to). Meanwhile, Board of Equalization member and rising Democratic party star Betty Yee is giving it her all in the race for Controller. This one will be fun to watch. 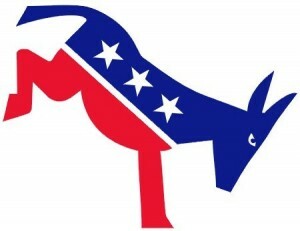 Do you know of other candidates or other races?Comment below or e-mail me!